A farmer is pictured on his destroyed paddy field due to drought in Tien Giang Province, located in southern Vietnam. Southern provinces in Vietnam’s Mekong Delta will receive more support to purge drought and saltwater intrusion as Laos is discharging water from its dams to give some help, the Vietnamese Ministry of Foreign Affairs said on Friday. Lao Minister of Energy and Mines Khammani Inthilat has confirmed such dam water release, according to the ministry. The Vietnamese ministry said Inthilat had said on Wednesday that 1,136 cubic meters of water per second will be released to the Mekong River downstream areas from the same day to the end of May. Previously on March 17, Le Hai Binh, spokesperson of Vietnam’s foreign ministry, revealed that China will also increase the amount of water released between March 15 and April 10 after being requested by Vietnam to tackle severe drought and salinization caused by climate change. The volume of water from China’s Jinghong Dam will incline from 1,100 to 2,190 cubic meters per second, doubling the amount during the same period in previous years. 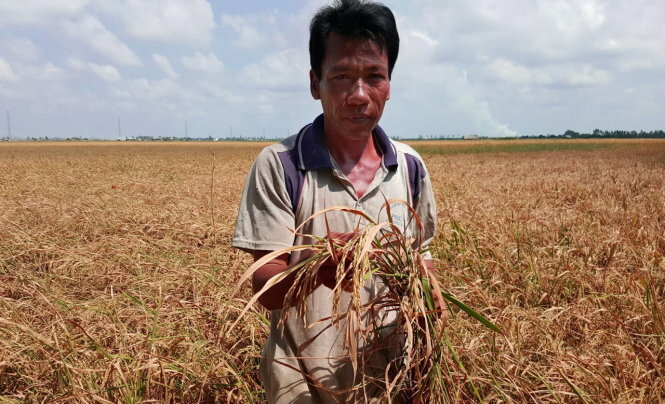 The weather harshness has sent numerous regions in the Vietnamese Mekong Delta to suffer the most serious fresh water shortage in the last 100 years, forcing locals to abandon thousands of hectares of rice fields for months and left them destroyed due to saltwater intrusion. The total amount of water from Mekong Rive flowing through Laos, Cambodia, and Vietnam will be about 3,611 cubic meters per second, thanks to the volume of water released from China’s dams and several rivers in Thailand, according to the Vietnamese foreign ministry. The water volume is expected to reach the delta in the early of April this year, according to the ministry. The Mekong Delta, Vietnam’s biggest granary, is home to a widespread network of rivers and canals. But the basin has been threatened by the rising level of salt water flowing into rice fields and farms recently.